Do you want to live in a city located near outstanding beaches, golf courses and other attractions? If so, Sarasota may be just the place for you. Located on South West Florida’s shimmering Gulf Coast and featuring some of the country’s best beaches, Sarasota is certainly the place to be for the beach aficionado. In addition to all the sights and attractions that Sarasota has to offer, the barrier islands of Longboat Key, Siesta Key, Lido Key, Casey Key and Bird Key are within minutes from the city. Here, Sarasota residents can escape to an island paradise such as Siesta Key Beach while also remaining near the amenities of downtown Sarasota. Downtown Sarasota affords residents an urban lifestyle where they can walk to work, home, the waterfront, restaurants and shops. Across the Ringling Bridge from downtown Sarasota, Bird Key real estate is often purchased by boating enthusiasts as this area’s homes wind through deep water canals. 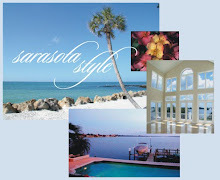 Owners of large boat and yachts often seek these luxury homes as well as luxurious mansions on near St. Armands Circle. With so much to offer its Sarasota residents, it is not surprising to learn that Sarasota real estate is a popular commodity. As anyone who has visited Sarasota knows, leaving this paradise can be difficult. Because of Sarasota’s natural beauty, warm weather and incredible amenities, Sarasota was named one of the Best Small Cities in the United States by Money Magazine. In addition, Money Magazine named Sarasota one of the Best Places to Retire Young in 2007. From golf communities like University Park, Lakewood Ranch, the Oaks and Prestancia to waterfront condos on the barrier islands, there is a piece of Sarasota FL real estate for every lifestyle.